called saponification (‘turning into soaps’). 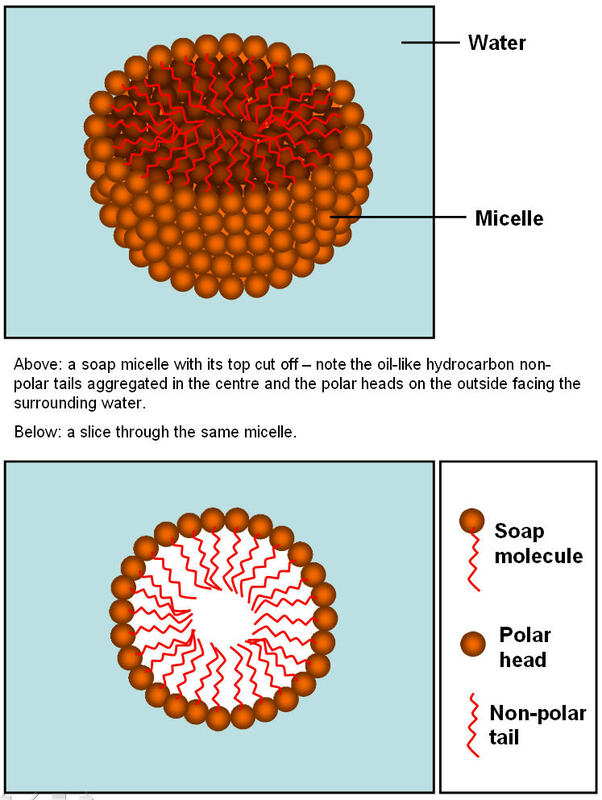 do not mix, water is excluded from the oily centre of the micelle. water) and so are dispersed and carried away with the micelles in water – that’s how soap cleans things! alkylsulphates (with negatively charged sulphate heads). oils, such as butter, lard, corn oil and linseed oil. containing the carboxylic acid group. 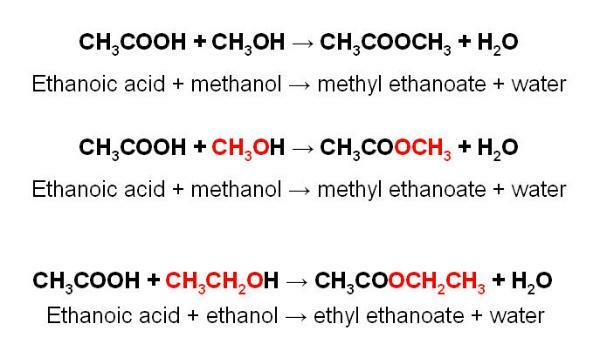 -COOH is the organic (carboxylic) acid group, e.g. 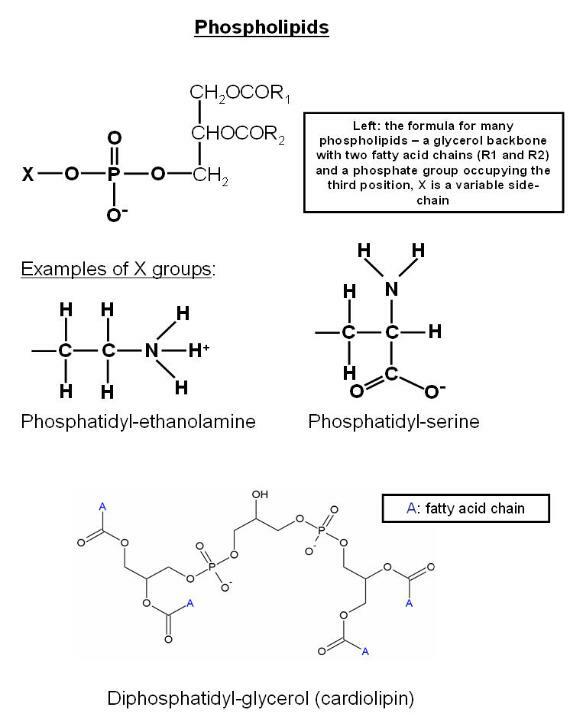 ethanoic acid: CH3CH2COOH. room temperature. Thus, vegetable fats, which tend to be oils, are polyunsaturated. Increasing the number of double bonds lowers the melting point. Increasing the number of C atoms (the chain length) increases the melting point. softening rubber. It is solid at room temperature. 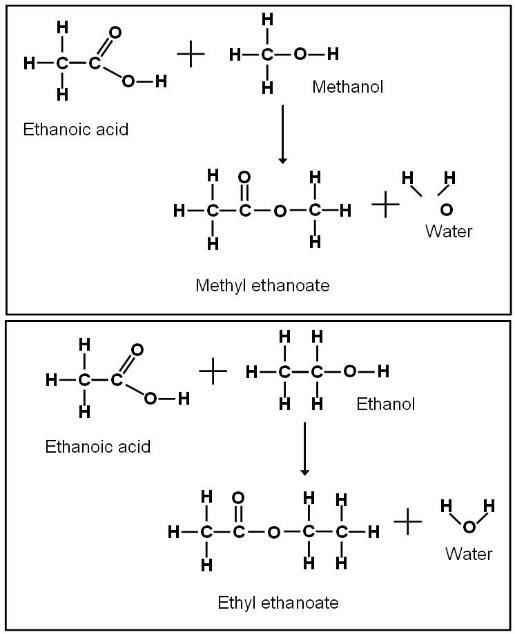 Palmitic acid (C16 saturated): 63-64 degrees C.
Stearic acid (C18 saturated): 69.6 degrees C.
Oleic acid (C17, one C=C bond): 13-14 degrees C.
Linoleic acid (C17, two C=C bonds): -5 degrees C.
and the aim is to avoid using saturated fats as they are considered less healthy and are harder to spread. organic solvent bromine is orange-brown and will similarly decolourise). gives milk its white colour. 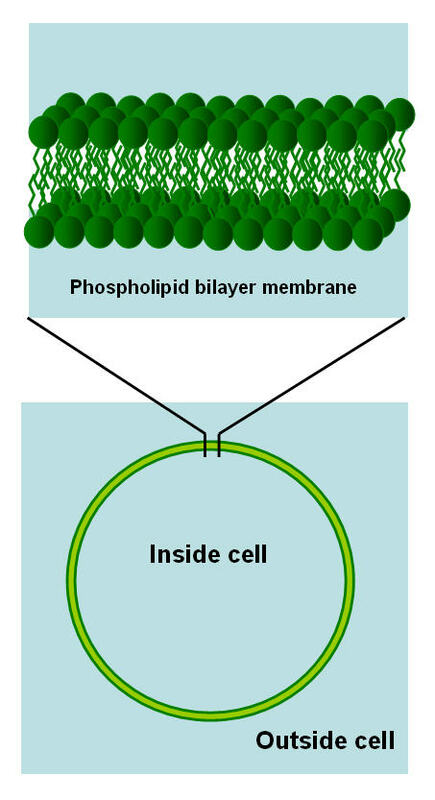 phospholipid bilayers and so they form hollow globules in water - ideal for housing the contents of a cell! hydrophobic interior layer to the membrane. A brief introduction to organic chemistry.